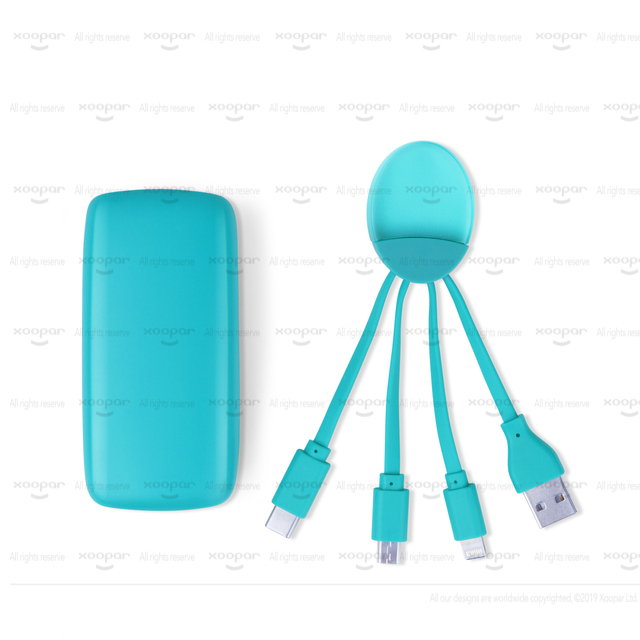 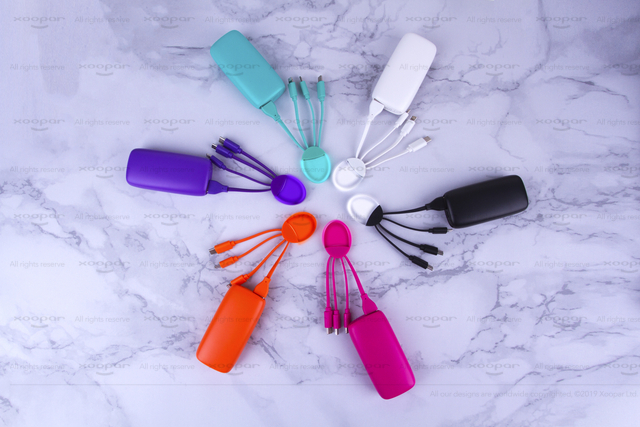 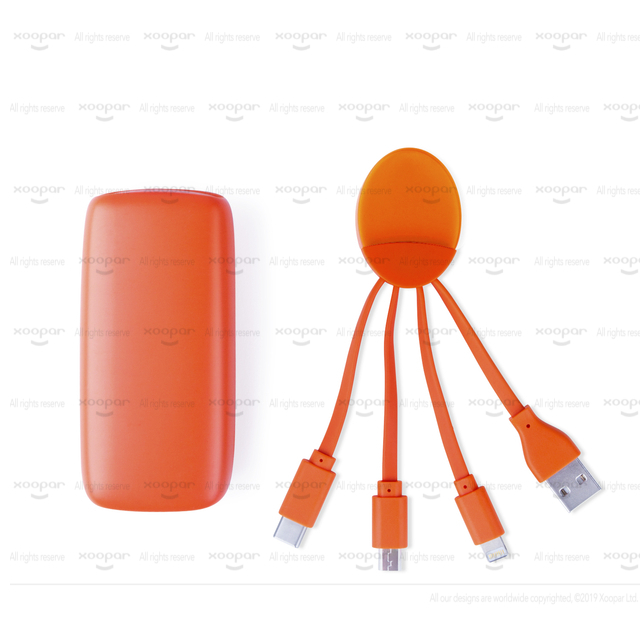 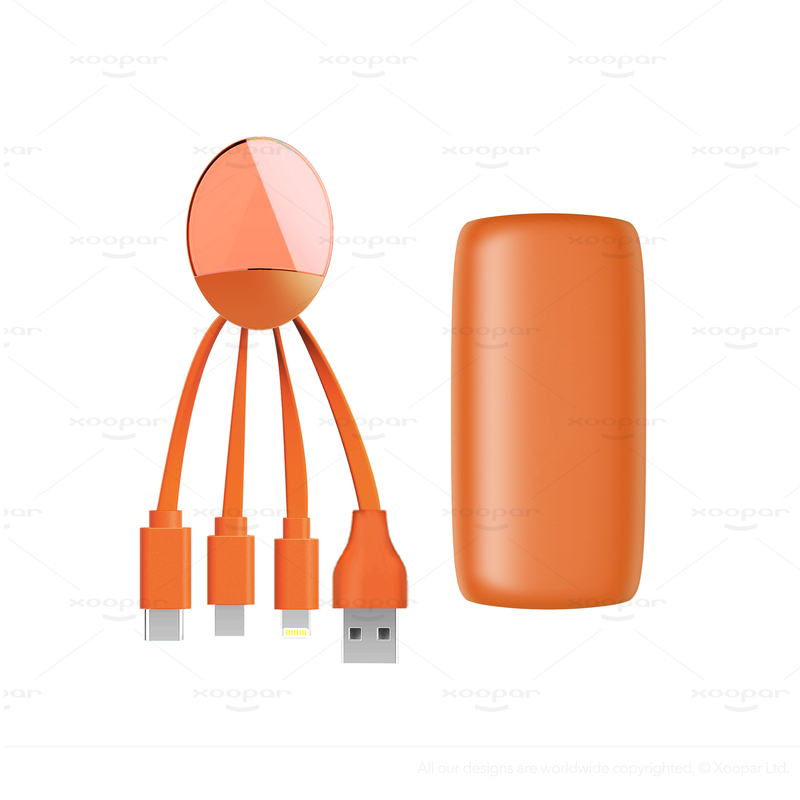 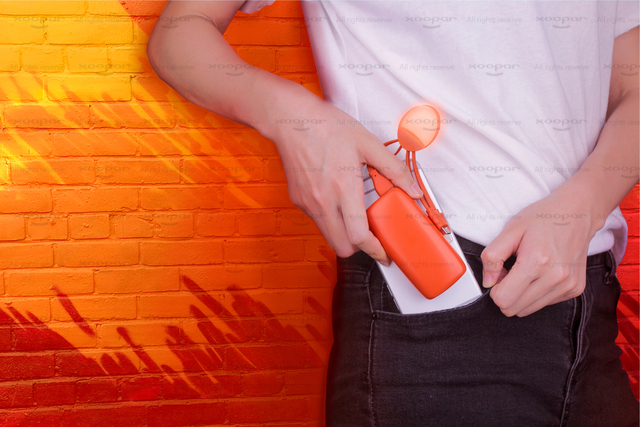 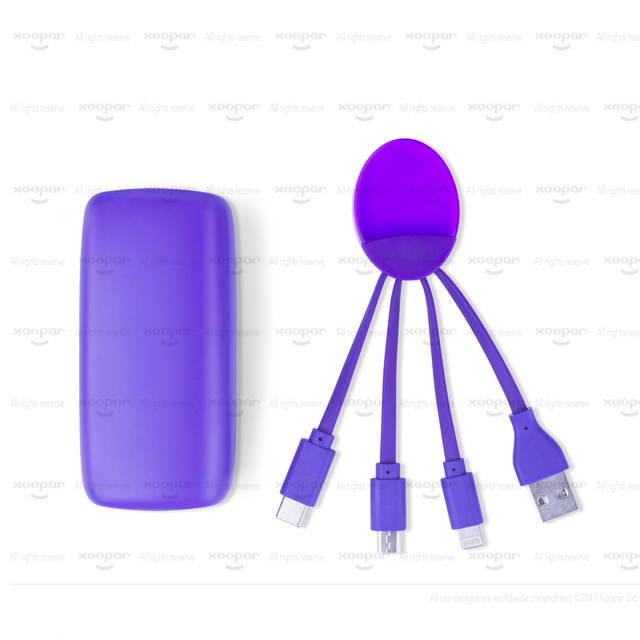 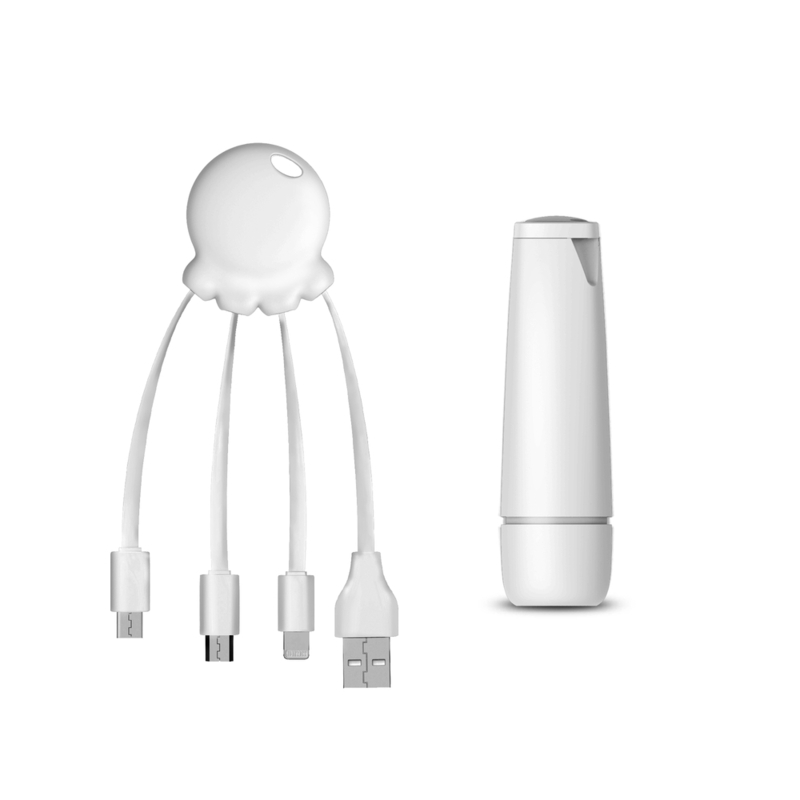 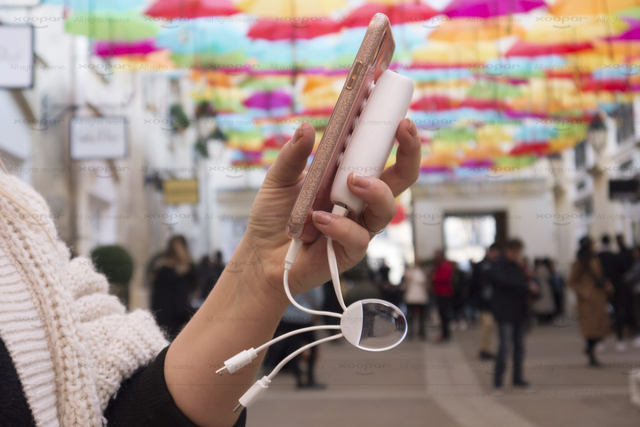 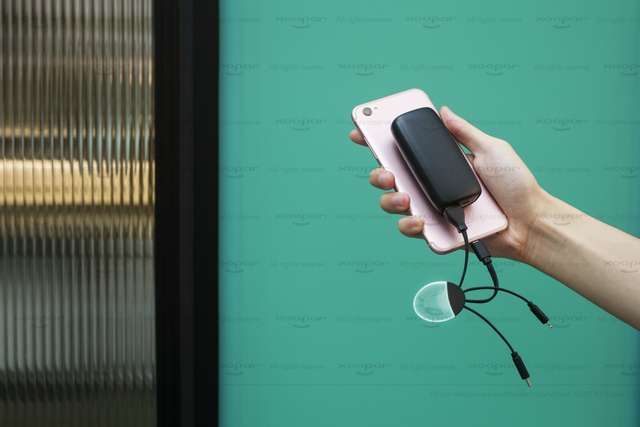 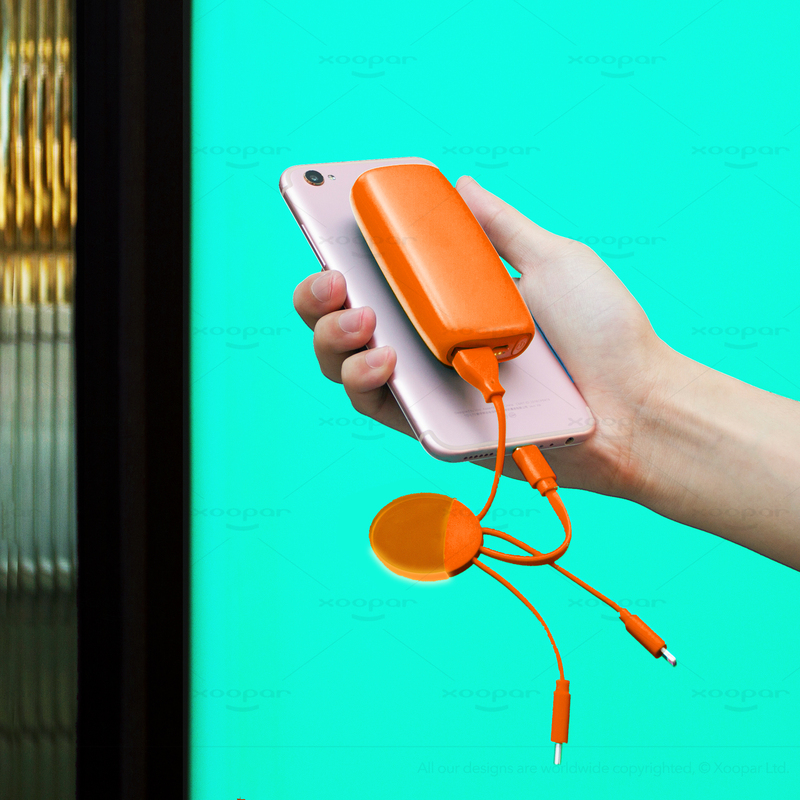 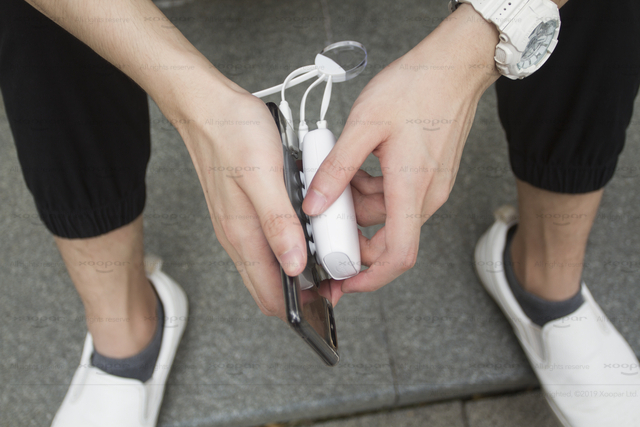 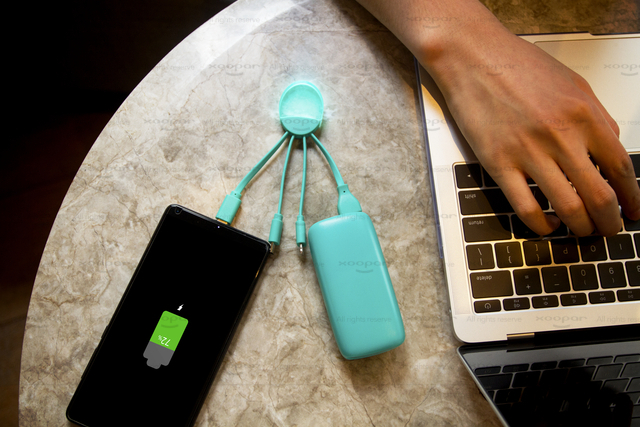 ● 5000 mAh portable battery with built-in suction cups, charge your phone up to 3 times. 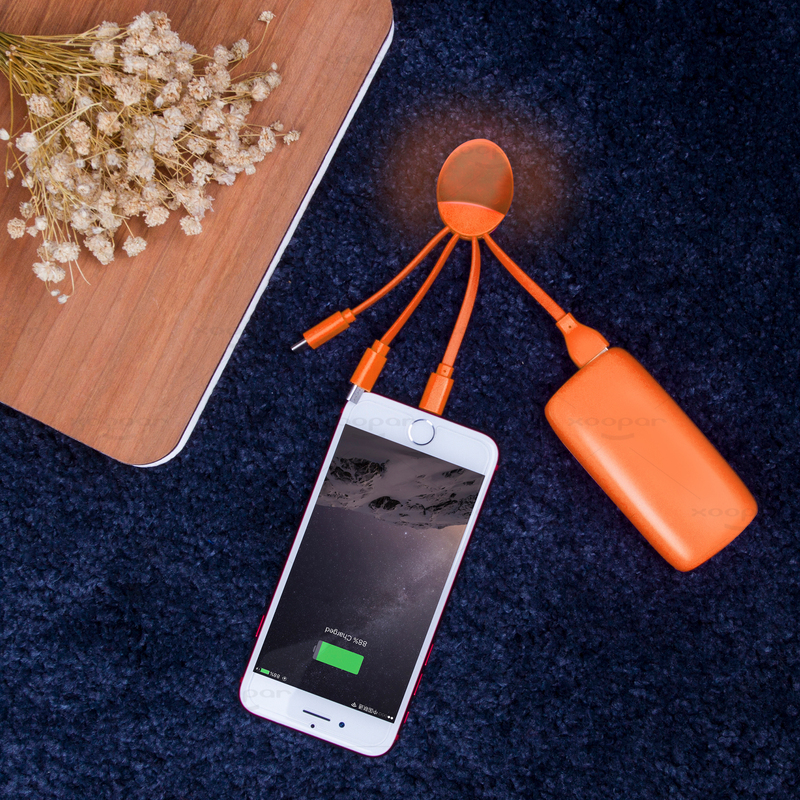 ● Portable charging cable with light. 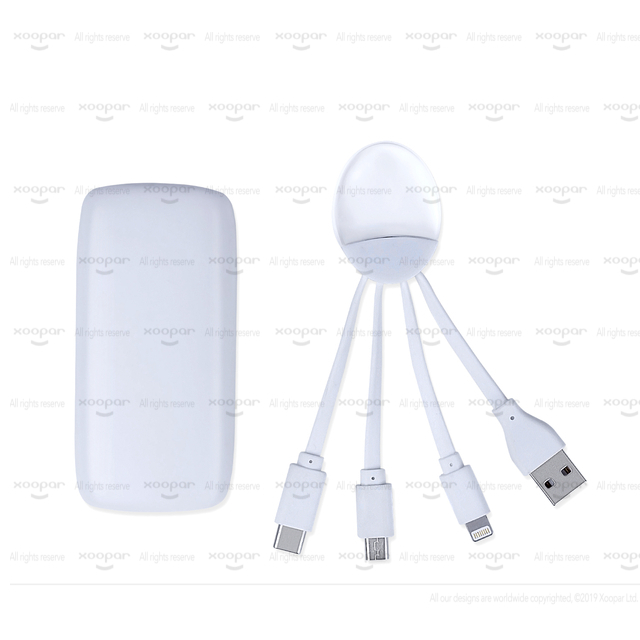 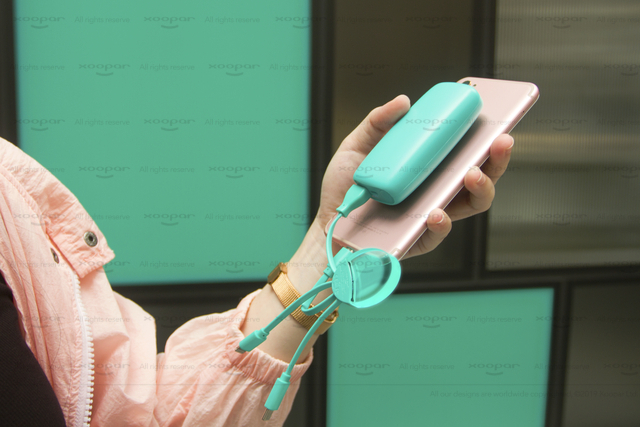 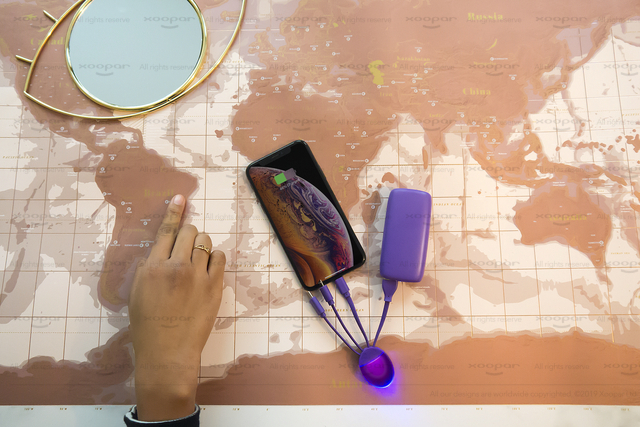 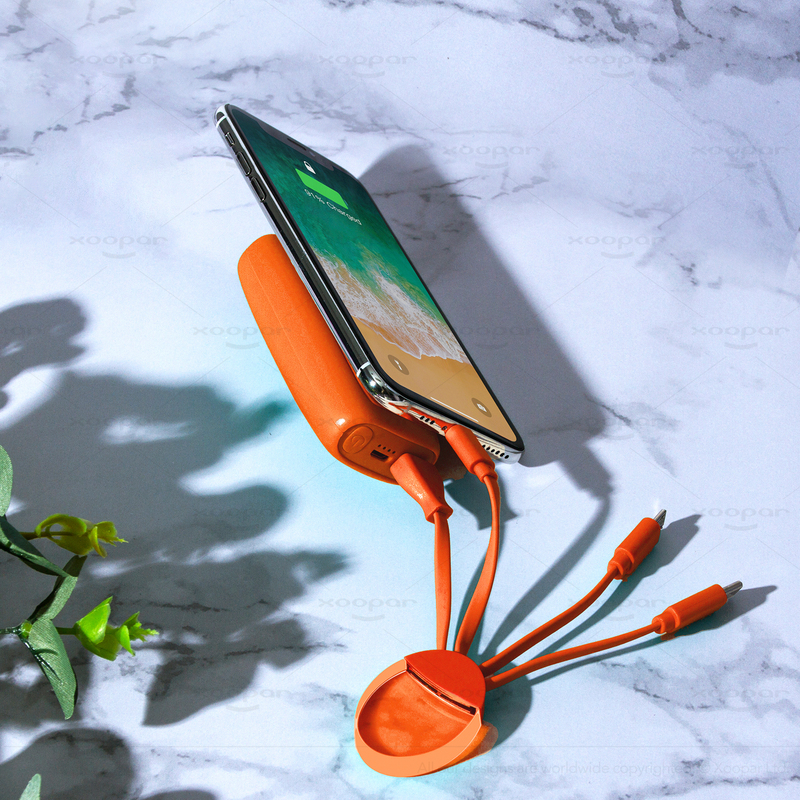 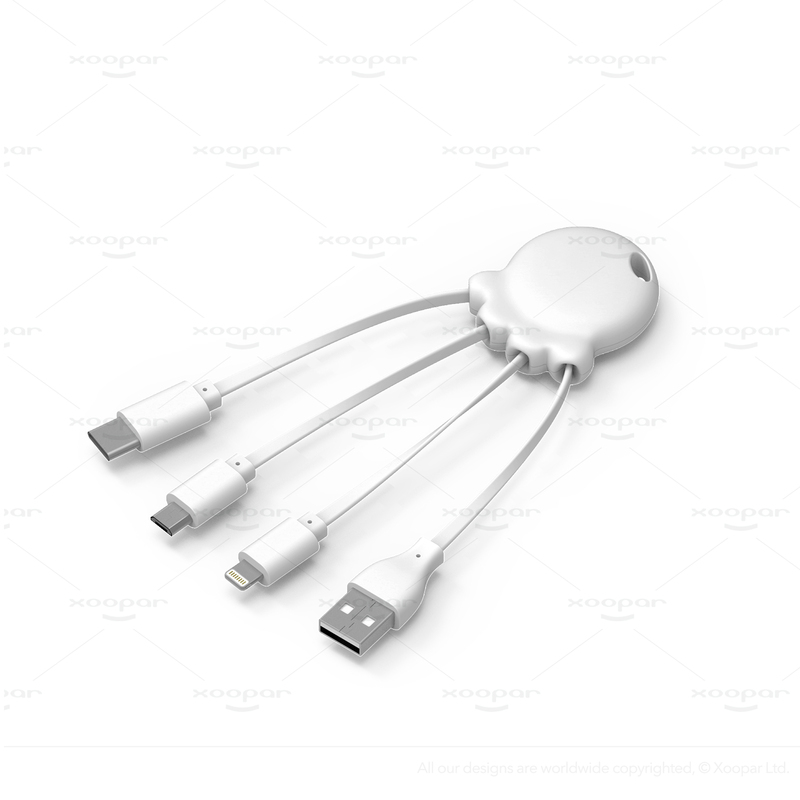 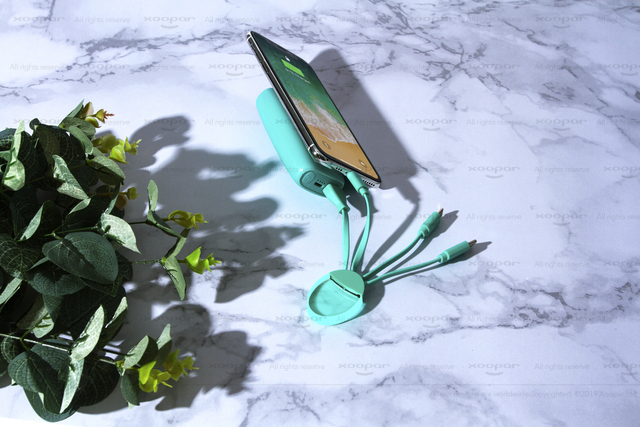 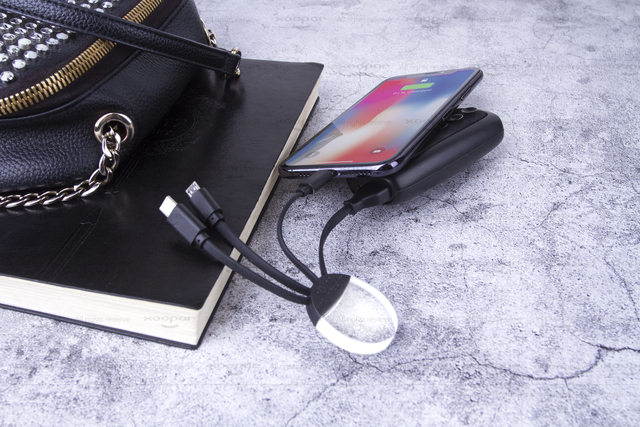 Featuring USB, Lightning, Type C, Micro USB adapters all-in-one. 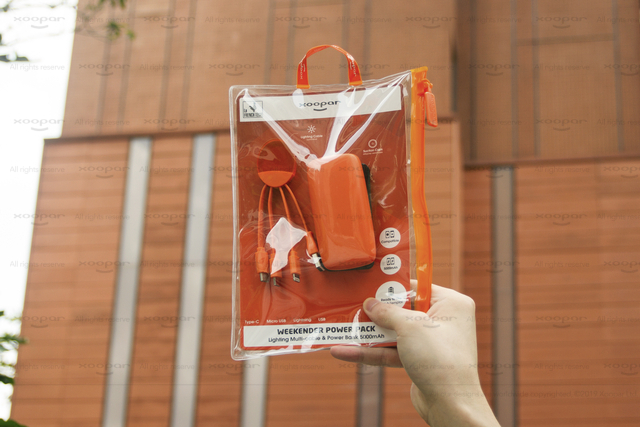 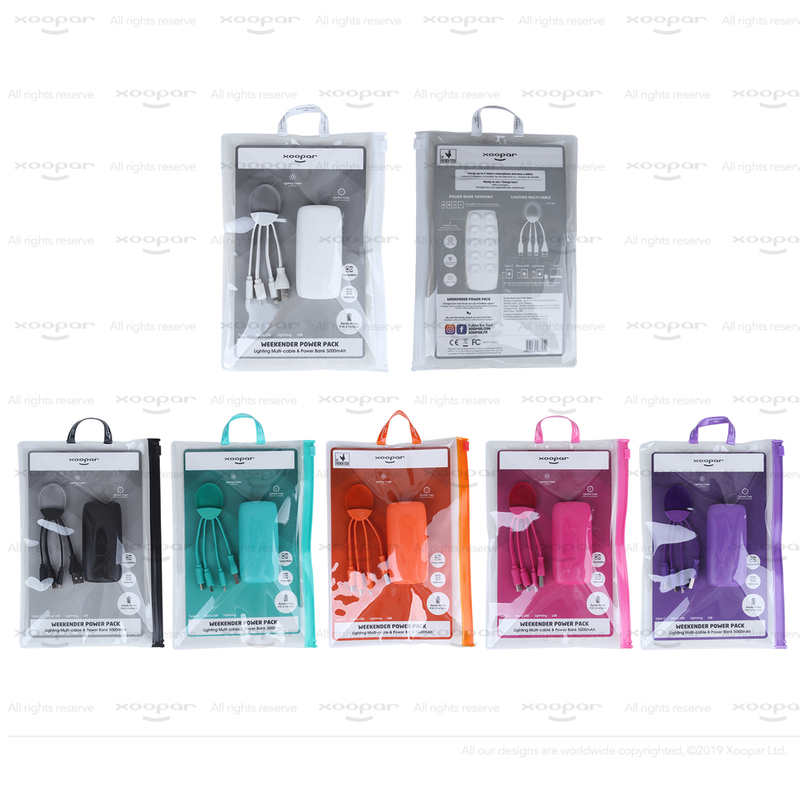 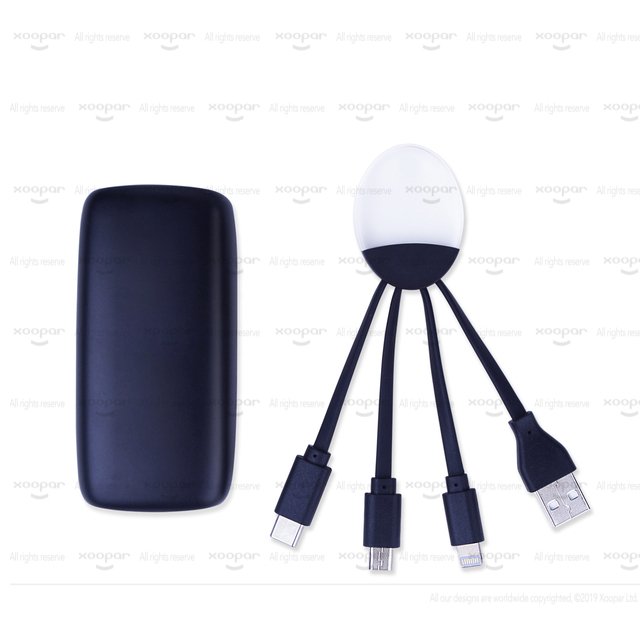 ● Ready to charge combo pack with re-usable pouch.